According to a recent report generated by the Economic Times, the largest single tranche investment is going to happen in an Indian e-commerce company with the online marketplace Snapdeal raising $627 million from SoftBank. Recently, a few days back, it was also estimated according to an earlier report that the e-commerce company could raise $600-650 million from SoftBank to support its expansion plans. 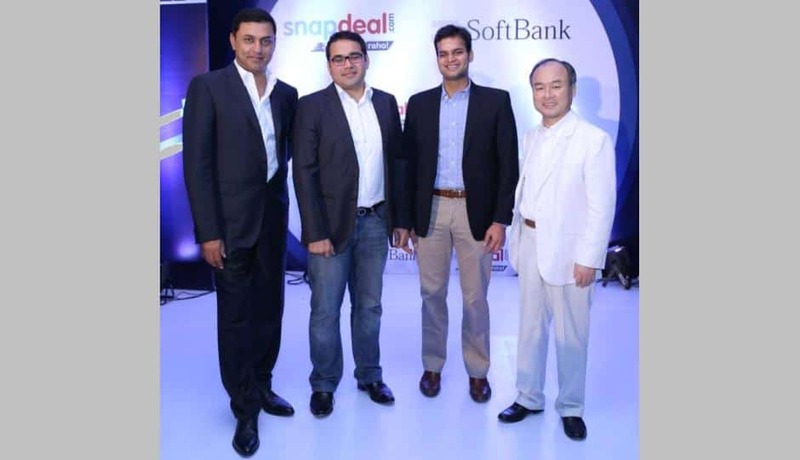 With the investment, SoftBank will now become the largest stakeholder in Snapdeal, which has now raised almost $1 billion in 2014. Snapdeal’s existing investors, such as eBay, BlackRock, PremjiInvent and hedge funds Myriad Asset Management and Tybourne Capital, have also participated in the round. The investment has been made through SoftBank’s recently created unit, SoftBank Internet and Media Inc (SIMI), which is headed by Nikesh Arora, who takes care of aggressive exploring of opportunities in emerging markets. As per the report, Mr. Arora will be joining the Snapdeal board. “India has the third-largest internet user base in the world, but a relatively small online market currently. This situation means India has, with better, faster and cheaper internet access, a big growth potential,” Arora said in a press statement.